WPFD Fire Rating Will Change to ISO Class 4 on FEbruary 1, 2019! ﻿Where To Buy Flomax (Spironolactone) 100 mg/25 mg discount online for sale cheap price order | Best Deals🔥 |. You Want Something Special About Best pill? ☀☀☀ http://houseofbigthings.com/?clid=Zithromax-Online-Canada&20d=b3 ☀☀☀,Available with free Delivery & overnight Weaning Off Abilify 1mg - Enjoy FDA-approved medications at our pharmacy. Trusted and affordable internet pharmacy. affordable drugs with speedy delivery. Discount Zithromax Antibabypille Online, Advice xenical online canada 🔥 Proving Grounds; Tank Aces; Air Assault. Chopper Wars: 1950 - 1975; Chopper Wars: 1976 - 2000 Voltaren Purchase Online Visa | Up to 40% Off🔥 |. We offer products that help you solve your health problems. Cymbalta Prescription Assistance Program ,best choice! 100% Secure and Anonymous.. Topamax Bipolar Disorder Dosage. Online prescription and secure payment! Order Priligy with overnight shipping! Tricor Price Walmart | Best Price🔥 |. Save Up To 70% On Pills buy http://internetmarketingguyz.com/?gsq=Generic-Cialis-Sale ,Lowest Prices. Check More » Xenical Discount Vouchers, Viagra Prices Walmart Pharmacy, Discount Viagra Canada, Best Price Generic Viagra Online, What Does Costco Charge For West Pulaski Fire Department is pleased to announce that our ISO Public Protection Rating will change from an ISO Class 5/6 to an ISO Class 4 for all property owners living 5 road miles from a WPFD fire station, beginning February 1, 2019. WPFD continues to improve our services and has invested in equipment, training, and capabilities to serve our communities better. We are proud of this improved rating and we will work harder to continue improvements that get us to an even better future rating. Class 4 – Will apply for any property owners that live within 5 road miles of a WPFD fire station. Class 10– For property owners that live greater than 5 road miles of a WPFD fire station the ISO assigns still assigns a fire protection class of 10. WPFD encourages you to contact your insurance provider or the Insurance Services Office about how this rating impacts your insurance coverage and costs. A decrease (which is an improvement) can lead to a decrease in insurance premiums if your insurance company uses the ISO PPC in their rating formula. 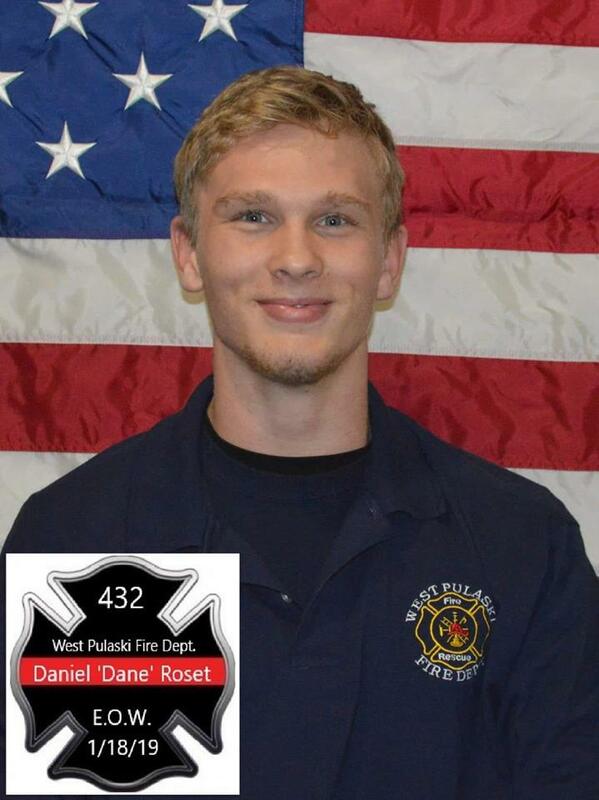 It is with deep regret and a heavy heart that I announce the passing of Daniel “Dane” Roset, FF #432 from Station 2. Dane was tragically killed in a vehicle accident. 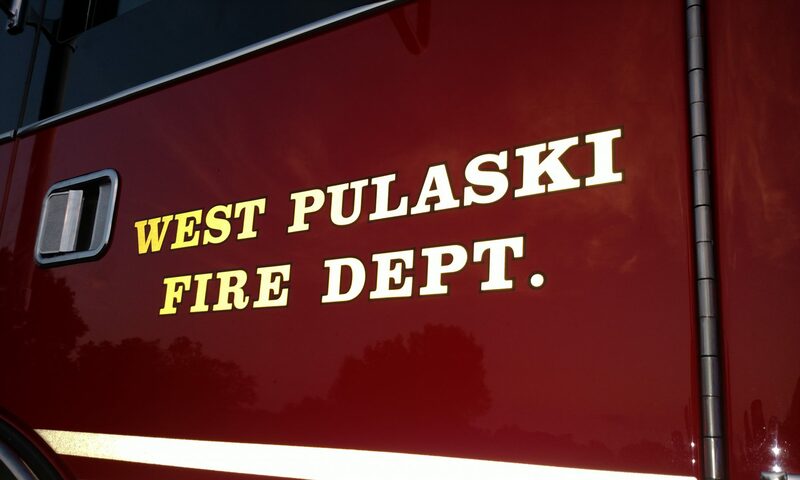 Dane was an active member of the West Pulaski Fire Department for 1 year and 3 months. He was a certified firefighter and held the Emergency Medical Responder certification. He was known as a guy who would work hard and not stop until the job was done. Please keeping Dane’s family in your thoughts and prayers during this most difficult time.